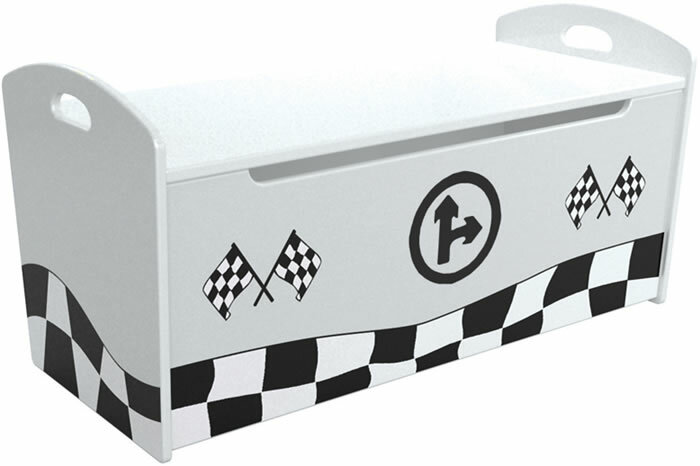 The Sweet Dreams Sonic children's toy box and blanket storage box has a racing theme with chequered flags and a bright shiny white finish. To help reduce the risk of trapped fingers when closing the Sonic toy box lid, the front of the toy box features a wide recessed top gap handle-less design. The Sweet Dreams Sonic toy box also features raised sides with a curved top and one built in carrying handle on each side.